Bassett Unified launched its first day of school on Aug. 8 welcoming 260 freshmen at Bassett High. Freshmen attended a Link Crew orientation before the start of school to smooth their transition to high school. 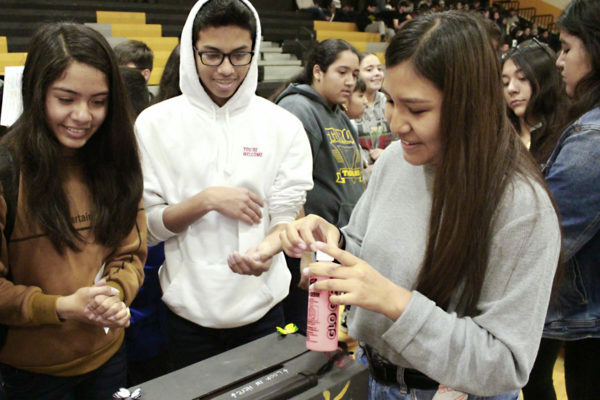 Schools across Bassett Unified held morning rallies, provided free backpacks with supplies and reviewed school culture and expectations to welcome students. Photos are available. Bassett High School’s Link Crew will hold an orientation for freshmen from 8 a.m. to 1 p.m. Monday, Aug. 6, two days before school begins. Link Crew is a team of juniors and seniors who are trained to mentor freshmen, helping to smooth their transition to high school. Bassett High is expecting about 260 freshmen this year. The high school is at 755 N. Ardilla Ave., La Puente. Van Wig Elementary School students gave families and community members a taste of the Caribbean during a steel drum performance on June 30, marking the conclusion of an eight-week Saturday morning music training and appreciation class. A dozen Van Wig students displayed their expertise on steel percussion instruments, accompanied by Principal Andrew Candelaria. More than 40 students enrolled in the class, learning the drums used in an ensemble and how to locate the notes to create a melody. Bassett High will kick off the football season this fall with newly hired football Coach Martin Soto, who is seeking to instill a set of core values that will guide his players toward a high school diploma and set them on a course to be leaders of their community. Van Wig Elementary School students participating in weekly drum classes will showcase their skills at 10 a.m. Saturday, June 30. The performance will be at Van Wig Elementary, 1151 Van Wig Ave., Bassett. 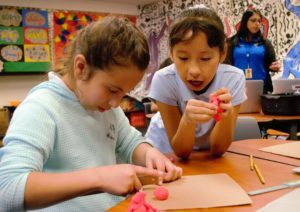 Don Julian outgoing fifth-grader Cassandra Sam blended and shaped clay into the hues and textures of her favorite animal, a penguin, during an after-school art program. 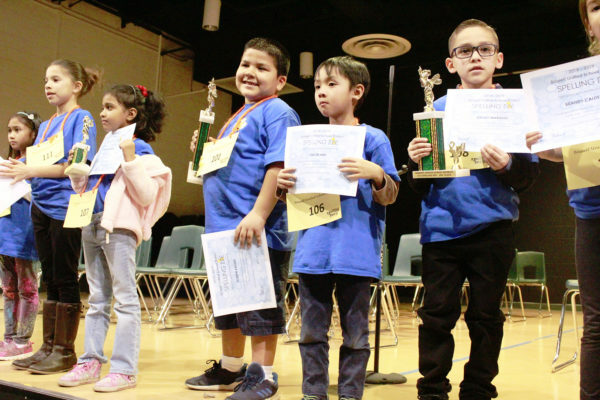 The program ran on Tuesdays and Thursdays during the school year for students in grades two through five. Students learned about famous artists’ techniques and works from different time periods to create personal art using the same medium and style. Students at Bassett Unified’s Van Wig Elementary performed an original play complete with princesses, knights and dragons using marionettes they mastered as part of an after-school puppetry troupe. Students wrote the story for their performance of “The Princess and the Dragon” while learning the art of puppetry. Photos are available. 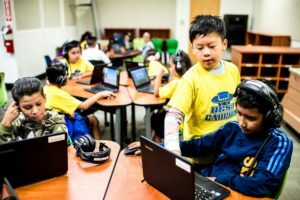 Bassett Unified will provide technology devices to students in transitional kindergarten through grade 12 and connect Bassett families to low-cost home internet service as part of the District’s Digital Learning Initiative (DLI), a four-year rollout that starts in August. The DLI continues the District commitment to providing students access to relevant, modern technology for educational purposes. Photos are available. 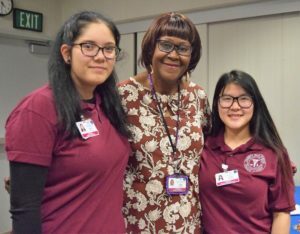 Bassett High senior Huong Nguyen celebrated with her peers at the Kaiser Permanente Health Academy’s Recognition Ceremony, where she was awarded a $1,000 scholarship. Nguyen was one of more than 30 students recognized for completing the three-year program. 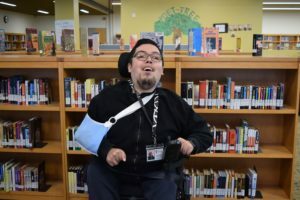 Bassett High School Class of 2007 graduate William Herrera was diagnosed with muscular dystrophy at birth but that has not deterred him from pursuing a college education and becoming a graphic designer. 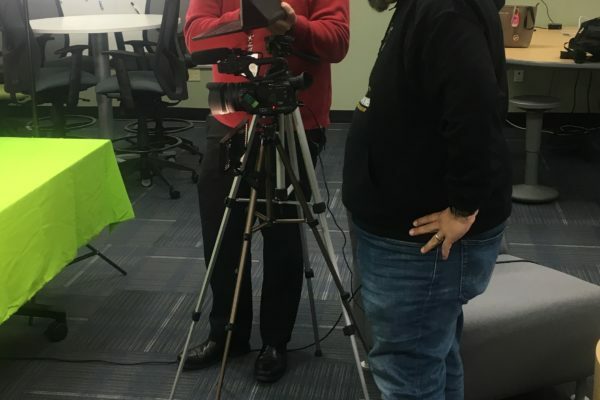 Herrera has returned to Bassett High as a youth leader for community outreach provider THINK Together, giving back to the Bassett Unified community that supported him and inspiring a new generation of students.